I’ve recently been doing a lot of discovery around lower back strength and health. We will be exploring this research more into 2010. Lower back health is not reserved just for strength athletes, it is a must for everyone. 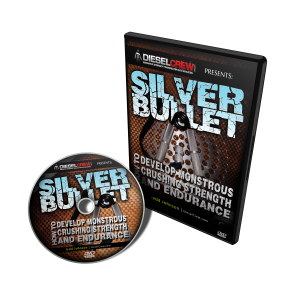 Muscle building programs found online miss this boat completely. That is why I made it a focus in AMD and that is why it is a complete muscle building system. How prevalent are injuries? Just one look behind the scenes at Elite Fitness Systems you’ll see that approximately 80% of the questions (just from my observations) are injury related. Do NOT miss this post! and the list goes on and on…TONS of questions. With back and shoulder injuries probably at the top of the list. Athletes and fitness enthusiasts go too hard and too fast WITHOUT attention spent to warming up and longevity. It is a balance! Remember that! You create tension in the weightroom. This tension weakens the soft-tissues and muscle fibers and rebuilds them to a stronger state. This adaptation occurs at a cost. Tension is stored in these structures in the form of shortening, adhesions, trigger points, inflammation and long term compensations accumulated over the course of a lifetime. It is a daily fight, not only from recovering from the workout, but also high repetition, short range of motion postures throughout the day. I wanted to give you five quick movements you can do everyday, in addition to your comprehensive warm-up and recovery that you normally perform (or should be performing), to ensure that you lower back feels great and you start moving better again. This movement is a combination of a glute bridge AND a thoracic mobility drill. Opening up the upper back while activating the glutes (this is important for maintaining neutral pelvic alignment and which releases tension in the hamstrings and abdominals) and stretching the hip flexors (also important for improving posture). A very powerful movement. This coordinated movement transversely activates (the way the body moves) the hip and opposites shoulder. The glutes, hamstrings, erectors, rhomboids, traps, delts and a ton of other muscles are fired with this movement. It reestablishes spinal stability and can be used in conjunction with plank variations. This movement is pretty simple. Soften the knees and move your upper body in full circles all the way down to your feet and extend as the circle comes over the top. This stretch is perfect for those who try to gain range of motion while stretching their hamstrings by rounding their back. This doesn’t improve your hamstring flexibility it irritates your lower back. Do not lift the leg, but rather drive the knee downward. Lengthen the spine and extend the back into neutral posture. This stretch is brutal but highly effective. It gets a deep stretch in the hamstrings, glute and IT band. More tension can be created by elongating the muscles even more by passing the leg outward into a 90 degree angle. After improving your mobility and flexibility of your upper back, hips and hamstrings you must begin to strengthen the lower back. Here is the right way to perform good mornings. We used a safety squat bar which is much more difficult than a typical barbell because of the extra loading on the neck. 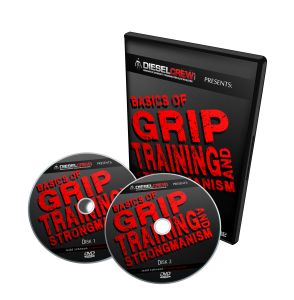 Copyright© 2009 The Diesel Crew, LLC. All rights reserved. You may not reproduce this article or post. 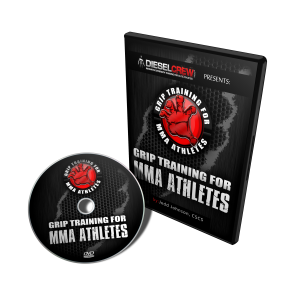 This entry was posted on Sunday, November 15th, 2009 at 5:31 pm	and is filed under accelerated muscular development, injury rehab recover from injury, muscle building anatomy, strength training muscle building workouts, strength training workouts. You can follow any responses to this entry through the RSS 2.0 feed. Both comments and pings are currently closed.